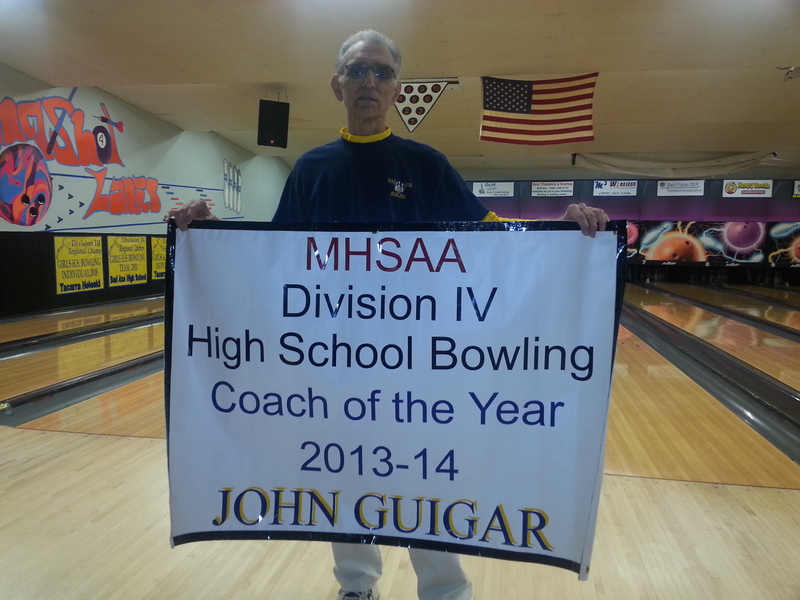 Our Head High School Bowling Coach, John Guigar Sr., received the distinguished Honor of being named the MHSAA Division IV High School Bowling Coach of the Year for the 2013-2014 Season. He puts in many hours coaching the kids not only during practice times, but also on the side. He takes the time to come up on Saturdays to help with the Youth Program as well. Congratulations John on a Title Well Deserved!! 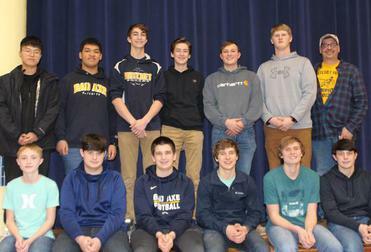 The 2017-2018 BAHS Boys Bowling Team with Coach Earl Kuhn. 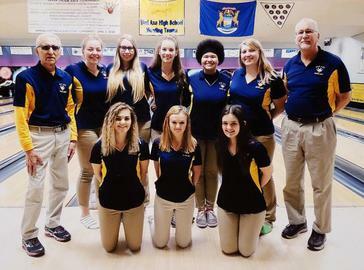 The 2017-2018 BAHS Girls Bowling Team with Coach John Guigar Sr.
We LOVE having groups here!! 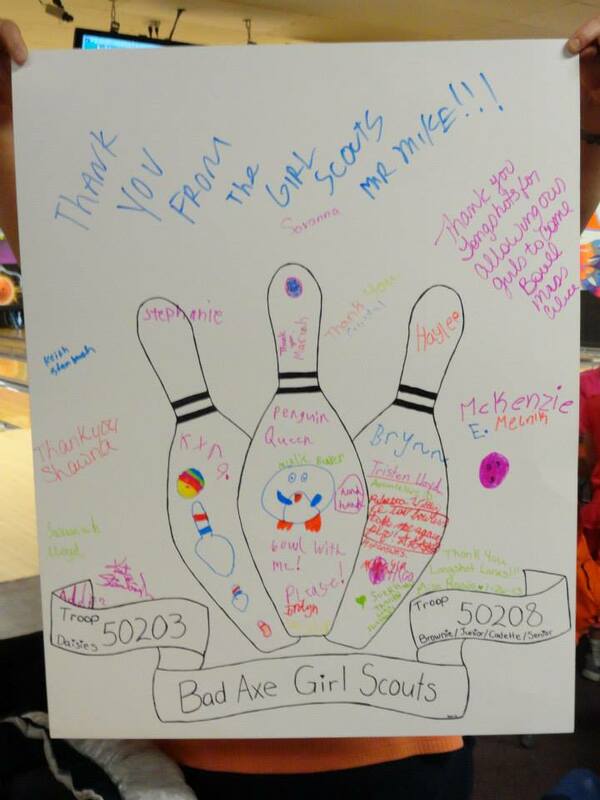 This is a Thank You Card from the Girl Scouts. 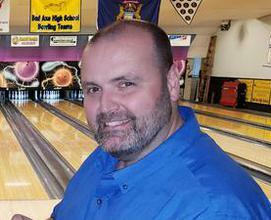 We take bowling outside of the bowling alley. 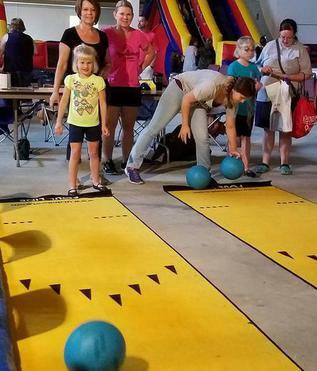 Here, Cathy Heleski and Miss Therese are working with the children at the Family Fun Day that was held at the Faith Gospel Tabernacle. Bad Axe Junior High Physical Education Dept. 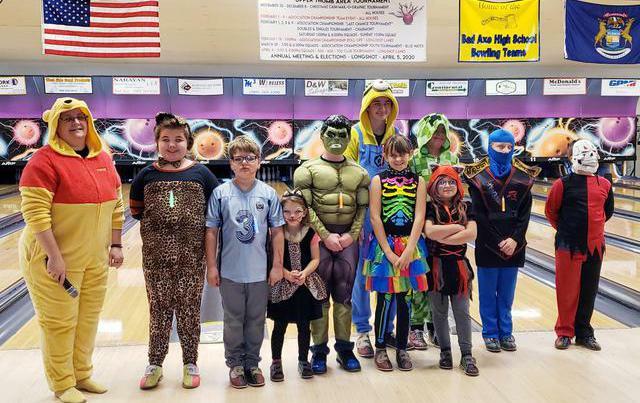 Our Saturday Youth League, along with Miss Davina, enjoy dressing up for their Halloween Party. On October 6th, 2018... after 13 years, Cathy Heleski handed over her keys to the new owner Mark Rolfe.